Seriously, most measure their drum via total length, this can vary a lot from individual to individual. When tagging, we measure to the fork of the tail. Out of nearly 500 drum/year, I may only see a couple/year that exceed 50 inches to the fork of the tail and only a dozen or so that measure 50 inches to the tip of the tail. Our fish are ready to spawn and very “gravid”, with the biggest girths that they will have through the year, even so, I rarely see drum with a girth of more than 30 inches. It looks like that drum is a bonafide 52 incher to the fork of the tail, with a 34 inch girth, you betcha, over 70 pounds and one of the largest that I’ve ever seen……..I’m just surprised that she didn’t have one of my tags in her! It's much better to estimate and measure than hang those fish on a scale. Pretty work to your friend. Subject: RE: That fish is remarkable. The fish was 52 inches long and a 34” girth. My calculations make it 75.14 lbs. It follows as 52 squared, divided 800 = 75.14 pounds. The fish was released in good shape. You are the first one I thought of when I heard about the big drum. Very cool. Do you know the measurements of it, would like to compare to some of mine. For sure over 50 inches to the fork of the tail, maybe close to 60inches. Very girthy fish also. Subject: That fish is remarkable. 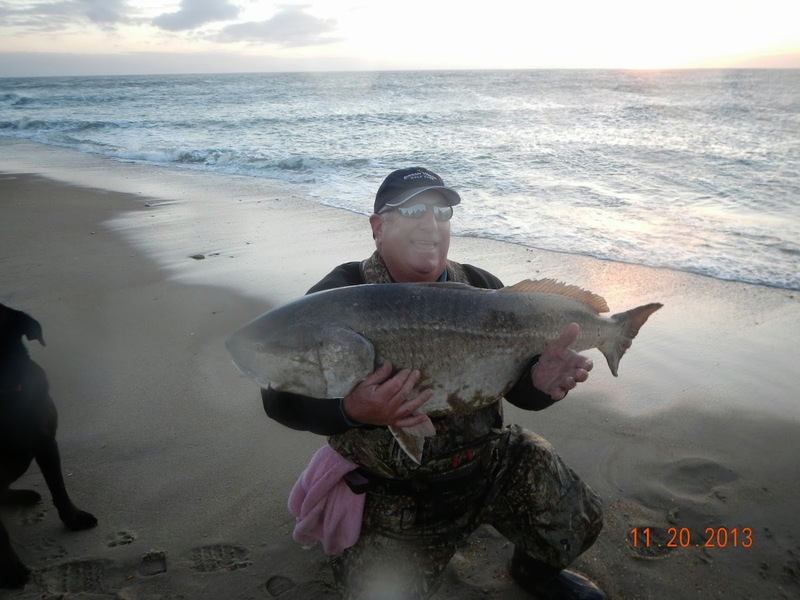 This picture sent to me by the angler, Ray Thompson, whose pictured with this 70 lb. Red Drum. They used the numerical formula instead of weighing the fish. As you know 50 lb scales are common but 70 or 100 lb. scales are not a usual staple for a surf fisherman. Since you love fishing I thought you would like seeing it. Off to Mom's with Anna and Riley for our Down East Thanksgiving, Mom will take care of the turkey and all the exceptional Thanksgiving fare. I'm glad that it's sunny outside, that's where she is sending us to fire up the grill that will soon be covered up with tong-caught Stump Sound oysters and NC trawl-caught greentails. (Sounds like an oxymoron for some of you, but it's not) Appetizers for us, but Anna will eat neither of them. Not for any reason, she just doesn't like oysters or shrimp......but you better keep the crab dip and prosciutto wrapped scallops out of her sight. Below is a report I got from down south. I'm heading that direction on Saturday to fish with Capt. Jake Jordan. He's giving the Dragin Fly a clinic on fly fishing for billfish. Then I'll be competing in the World Billfish Series Championship next weekend, a neat tournament with an individual angler format. More on that later, but stay in touch as I bring you some reports from the tropics over the next couple of weeks.....you never know where we might end up. Excellent. Glad that it worked out. We’ve got shirts on the boat or you can order them on line at www.draginlfycostarica.com and we’ll mail them to you. Many thanks for your business and I’m glad that you had a couple good trips. 11 sails. Wow. I’m going that way on Saturday, hope that you did not catch them all. dozen sails, wahoo and PLENTY of gaffers yesterday on the Dragin Fly. 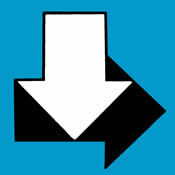 I will be heading that direction very soon. Check out to the link to the Fisherman's Post Fishing School. We will have some Down East guides representing Down East Guide Service at all 3 Fisherman's Post Fishing Schools in Wilmington, Morehead City and Greenville. Also, we are giving away a FREE trip for 2 to Costa Rica or Argentina to be drawn from all entrants in their fishing schools. Check 'em out and sign up! All meals and dinner seminars with the guides. Tuesday, Sept. 9 10:00am – noon: Check in. 1:00 pm Spool up and rig up your new rods, knot tying, rig making for afternoon drum fishing. 9:00 pm Dinner with the guides. Popping cork seminar and rig your rods. 2:00 pm Siesta or shoreline light tackle fishing with artificial lures. drum and most likely stop on the way home for a big drum. 9:00 pm Dinner with the guides. Thursday, Sept. 11 5:15 am Coffee and pastries with the guides. 11:00 am Fish cleaning demo. 1:00 pm Pool-side fish fry and graduation ceremony. We had our limit of ducks in 30 minutes. Mitch got his limit of stripers in about the same time. Grand Slam on the first 3 bites! Photo credit to Joey Massey from Laceration Lures for the above photograph. Reproduction only with written, notarized permission. Making steady meals out of striper fillets. Maybe it will be ducks on the grill tomorrow night. 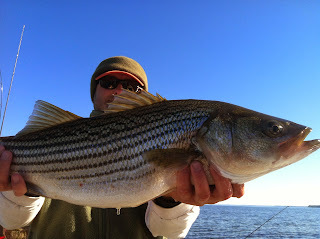 Good striper and speck fishing up the river is holding steady, even some topwater action a couple times this week. Really, really good light tackle action reports from Capt. Mitch Blake on the Pamlico with the stripers and from Capt. Joe Ward on "a local tributary" with excellent action on the specks. "We’ve been spanking some trout hiney here lately with good numbers and quality !" From the Run Off and Capt. Mitch Blake. Pretty day whichever direction you wanted to go. No trout for me in the suds this afternoon. We got a huge amount of interest in the fishing school planned for next September, during the peak of the big drum season. Looks like it's going to be 4 or 5 fishing sessions with several Down East Guides, giving customers the complete hands on instruction and on the water demonstration. Starting the school with learning how to rig up your two brand new rods/reels, learn how to tie the knots, catch the bait, find the fish, catch 'em and take care of them, whether that means letting them go in the water or preparation for release into the grease. If any of you have are interested in signing up, let me know what you would like to see in the school. Details coming together now. Also a lot of folks looking at Belize, tarpon fishing in Costa Rica or wingshooting in Argentina next year. Great opportunities for singles or pairs to sign up. Shoot me an e mail and I'll send you the details. 2 sails, a striped marlin and double digit gaffer dolphin the last 3 days on the Dragin Fly. Had some very rare mechanical issues today. The motor did not leave me, but it sure sounded like it was coming apart. I limped home. Thanks to Capt. Al Edwards who came to the rescue, picking up my party and putting them on the albies for the afternoon and again tomorrow. After my 3 hour stroll home, I put the boat on the trailer and delivered to Mobile East Gene. He'll get me running soon enough. I got back to the beach just in time to put on my waders and try for a trout. No bucket, no stringer, just me, my brand new rod that Brett built me, www.carolinacustomrods.com , a mirror lure and all light fading from the western sky. I was about to give up when I got a bite, nice keeper. Put him up on the beach and went back for more. From waste deep in the surf, I saw a couple of a guys walk by my trout, pick it up and admire it, I didn't know that they kept on walking with it. Anna passed them as she was coming down the beach to beckon me out of the water. They didn't have a rod with 'em, but they did have a nice dinner. Blown motor and a stolen trout. Not. Well, maybe, but not this afternoon. 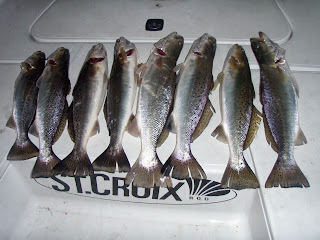 Weather has been crappy on the coast, but the specks and stripers are biting up in the creeks. Capt. Mitch, Joe Ward and Greg all sending in good reports despite the wind going around the clock and back again, all at 20 knts. Back at the albies this weekend. I've never been to the Oyster Bar or the Big Mill, but it sounds like fun. 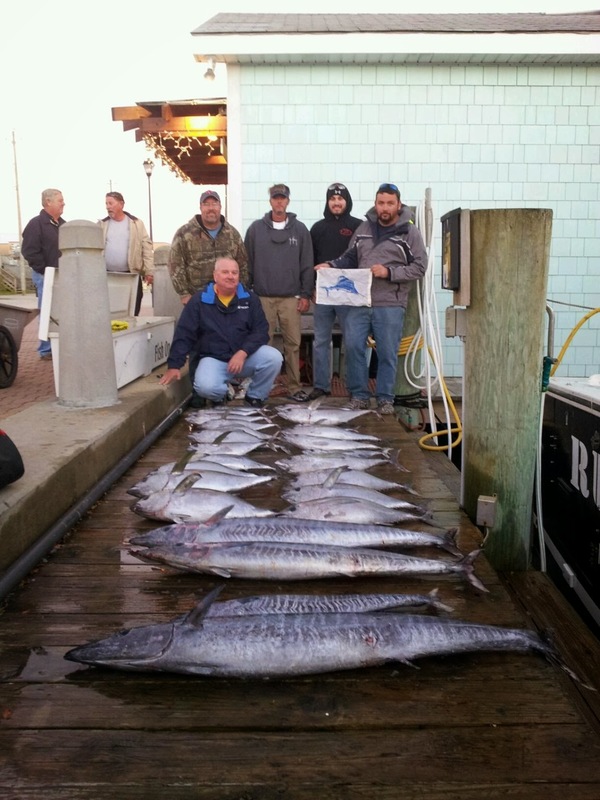 Add a day of striper fishing with Capt. Mitch and it's got to be good, he hasn't led me the wrong direction yet. Give us a ring to book a trip. Despite a little northerly wind, that is just what fires off the stripers (and specks and albies). Hey George, Bryan here. The wahoo bite has been insane out there and lots of big fish. Plenty of sails too. I know this isn't exactly news as everyone going out there is getting them. And that ain't no Ladyfish. Juvenile 12 lb tarpon, November 2nd, 64 degree water temp, Little River Inlet. Verrrry interesting! Not going to hurt this good fishing, but it is going to keep me out of the ocean for a few days as the swester ahead of the front makes it a little swelly. Going to be good right after she blows through.